We recently offered 10 policy recommendations to address the discouraging performance of Ohio’s charter school sector. We think the building blocks of our recommendations (e.g. strengthening the autonomy-accountability bargain, improving authorizing, creating smart incentives) are relevant to all states, and we suspect the specifics of some recommendations might fit the bill in some states. But our report was written in response to conditions in Ohio. Several provisions in the Buckeye State’s law are unusual, and after more than 15 years of charter experience, Ohio can now see the long-term consequences of many of its policy decisions. For instance, the legislature tasked the Ohio Department of Education with crafting an authorizer-ranking system that will help the state restrict low-quality authorizers’ ability to oversee charters. We believe this accountability boost (importantly, without any new burdens on schools) is necessary in Ohio because the state has so many authorizers, some of which oversee large numbers of persistently low-performing schools. In states with fewer authorizers, stronger authorizing practices, and/or stronger charter school performance, this novel policy is far less critical. Similarly, in 2006, Ohio passed legislation to automatically close persistently failing charter schools. We call for strengthening that law, which currently has loopholes for schools serving specific student populations. If all Ohio charter schools were successful, or if all Ohio authorizers held their schools accountable, an automatic-closure law would be unnecessary. Unfortunately, that’s not the case today. We would prefer high-stakes charter decisions be made by quality-conscious authorizers deeply informed by the particular circumstances of each school. A statewide automatic-closure law based on a uniform set of limited performance metrics is a blunt tool, for sure. Tightening up the current statute makes sense in Ohio, and it can be done without at all influencing the operations of most schools. But that doesn’t mean automatic-closure laws are appropriate everywhere. Through our research, we also found several provisions that complicated the relationship between charter boards and their management companies and other vendors. These can give the appearance of nepotism or, even worse, open the door to the misuse of public funds. We believe this needs to be addressed, so we recommend a new requirement for board members to register as public officials and submit annual conflict-of-interest statements. Other states already have sufficient protections in place (for example, in statute or via authorizer practices), making this recommendation ill suited to their circumstances. Although these examples speak to the left side of the quality distribution (low-performing schools and authorizers), we also found that Ohio’s policies do little to grow schools on the right side. Current statutes, regulations, and practices related to funding, flexibility, facilities, and transportation make it very difficult for Ohio to recruit high-performing out-of-state operators and to develop and expand superb in-state operators. Accordingly, three of our recommendations address these issues. While we generally think states could do more to support the growth of high-quality charter schools, these specific recommendations may be a lower on the priority list of states already seeing new-school success. This project convinced us that Ohio’s charter-school policy environment is seriously flawed in a number of ways. But we reached this conclusion only after carefully studying the text of state laws and regulations, looking into authorizer-school contracts, interviewing key stakeholders, and much more. 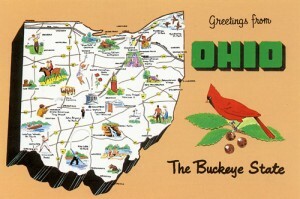 We found Ohio problems, and we offered Ohio solutions. We hope Ohio’s policymakers take our recommendations to heart. We also hope leaders in other states take the time to study their own policies and practices so charter schooling can benefit as many as their students as possible. While we’re admittedly strong backers of the charter-school approach, we know that getting it right in practice takes enormous work. We also know that when charter problems arise, careful analysis and targeted fixes are better solutions than philosophical attacks on the entire enterprise of chartering. This entry was posted in Accountability, Charter Schools, Education Governance, Education Policy, Research, School Governance, State Education Policy and tagged Accountability, Charter, CMO, Facilities, Funding, Ohio, Transportation on December 19, 2014 by Andy Smarick and Juliet Squire.